Identify issues that can be improved in your code in the areas of syntax, modularity, documentation and expressiveness. Define syntax, documentation, modularity and expressiveness. The theme of this workshop is clean code. When we say clean code, we are referring to code that is written in a way that is easy to understand (for you, your future self and your colleagues), efficient in it’s implementation and well documented. Writing pseudocode before executable code to organize your approach. Pseudocode refers to writing out the steps and process that you will need to implement in your code - in plain old english - BEFORE you code. We will discuss pseudocode more in the next lesson. Writing more expressive code by using meaningful variable names and tidyverse functions and syntax in R.
Automating your code rather than using a “copy pasta” approach. Writing pseudocode can help with identifying repetitive tasks. Modularity: Is your code more “script like” written from beginning to end with repeated tasks? Or does it consist of sections and functions that capture tasks that are repeated? Documentation: Is your code well documented? Documentation can range from comments found within your code to thorough readme files that describe your entire workflow. Expressiveness: Expressiveness refers to writing code that makes your intention transparent. This includes using meaningful names for objects and files, that indicate something about their contents and intended use. The DRY approach to programming refers to writing functions and automating sections of code that are repeated. If you perform the same task multiple times in your code, consider a function or a loop to make your workflow more efficient. 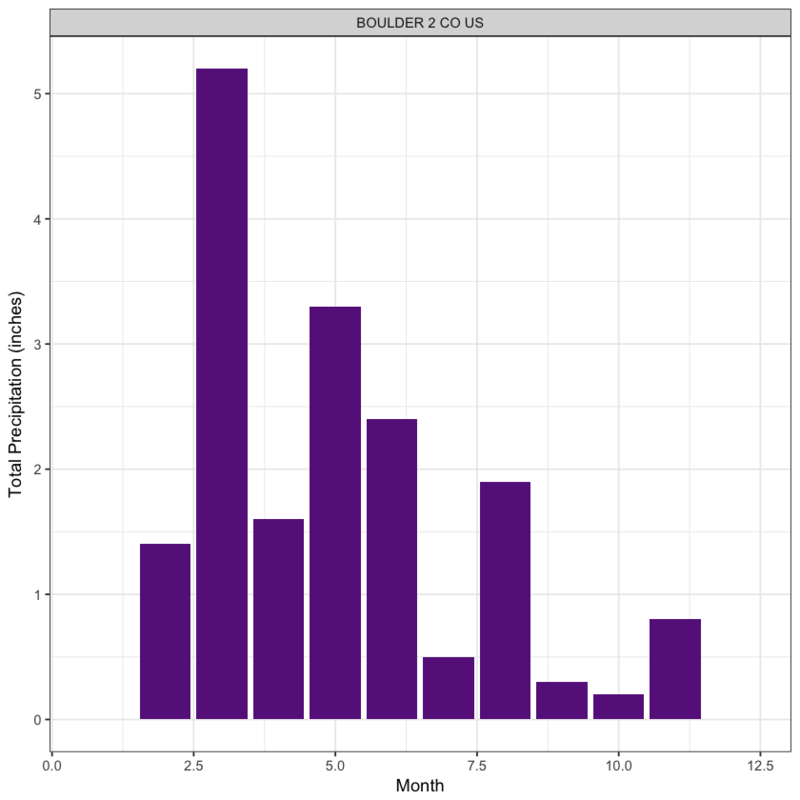 You have been given access to some precipitation data for Colorado across several locations This data is stored in the cloud and your colleague has started to explore the data in R.
Some thoughtfully composed code (see below) that they wrote to explore the data and help you get started. Unfortunately, your colleague is trekking among the tallest peaks in the Himalaya. Thus, you are left to your own crafty devices to figure out how to work with these data. Time to get started. Let’s begin by having a close look at the thoughtful code that your colleague left for you to work with. 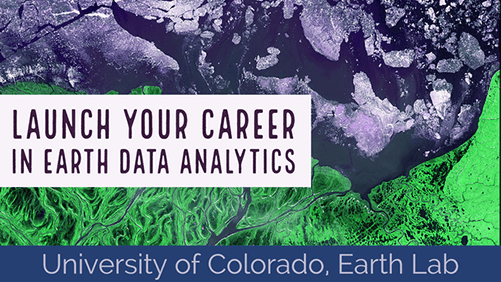 You are working with some time series data that captures precipitation for several study sites in Colorado. A colleague of yours provides you with the code below that they started to develop to work with the data. Break up into groups of 2-3. Identify any issues that you find with that code. Add the issues that you find in the code to the Google Doc provided for the workshop. In some cases, someone else may have already identified and issue that you did. Add a +1 to any items that you agree with so issues are duplicated. Also feel free to edit / add to any issues you see in the document that you’d like to build upon. You have about 15 minutes to complete this task! We will discuss what everyone finds as a group. #uh oh -- why are things messed up? # i really want to create a nice dataframe that summarizes rainfall by month in mm. # so let's see how this goes. # First I need to make sure that the DATE column is a Date!!! str(myDATA) # check to make sure that the date column is a date - is it a date? # # the dates are all messed up. who made this data? seriously? # this is easy to do. #2005 - my fingers are tired. may start lifting finger weights to help with endurance. mutate(newcolumn = "fredyymack") %>% #i dont think i need this column do i?